I can’t glance at my French Bulldog news alerts without being informed, in gushing terms, about how supposedly super awesome a dog owner Jesse James is. James, who just “adopted*” (* this is usually celeb code speak for “bought from a pet store”) a new French Bulldog puppy for his daughter, is held up as a paragon of virtue because he ran lost dog posters last year when his Pit Bull Cinnabon went missing. It’s entirely possible that James, who comes across as a womanizing scumbag in general, is one of those guys with horrid relationship skills, but great dog ownership skills. Let’s hope so, for the sake of the new puppy. Barring that, let’s hope that Sandra Bullock gets custody of the kids and the new dog. Frenchies and Kids – Photos Needed! 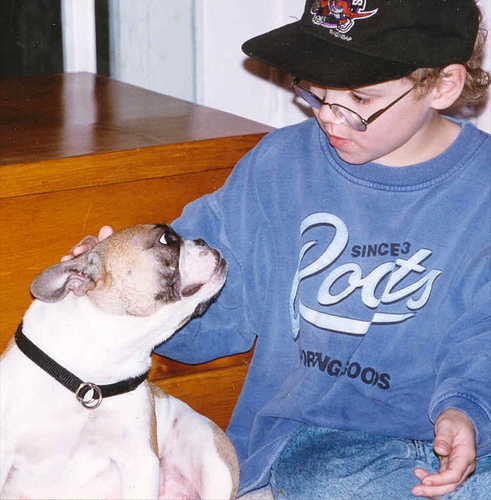 adults, puppies or seniors – along with one or more children. members – no random kids from the park or what have you. can get the calendar out as soon as possible. https://i0.wp.com/www.bullmarketfrogs.com/wp-content/uploads/2015/04/Brindle_pied_frenchbulldog.jpg?fit=662%2C662 662 662 Carol http://www.bullmarketfrogs.com/wp-content/uploads/2015/06/bullmarket-logo.png Carol2010-08-22 13:03:082010-08-22 13:03:08Frenchies and Kids - Photos Needed! Generally, movies featuring French Bulldogs make me nervous – we’ve had enough pop culture references, thanks, and we don’t need any more breed popularity. In this case, however, I’m making an exception, and not just because “Due Date” stars Robert Downey, Jr., one of my favorite actors of all time. “Due Date” comes to you from the same people who brought you “The Hangover” and “Old School“, two of the funniest movies I’ve seen in ages, and it also stars the ever awesome Zach Galifianakis. The Frenchie in this movie gets a lot of face time, which is also unusual, and he seems to spend the entire movie wearing a cone and a bandaged foot. All together now – awwwwwwww. Check out the trailer below, and tell me it doesn’t look great – even without the adorable cream Frenchie. 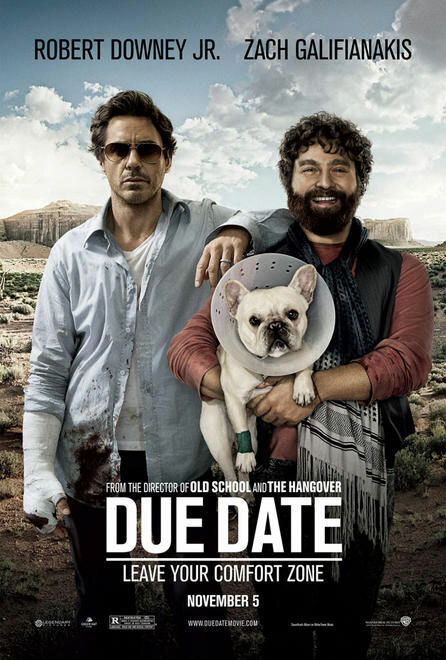 “Due Date” comes out November 5. 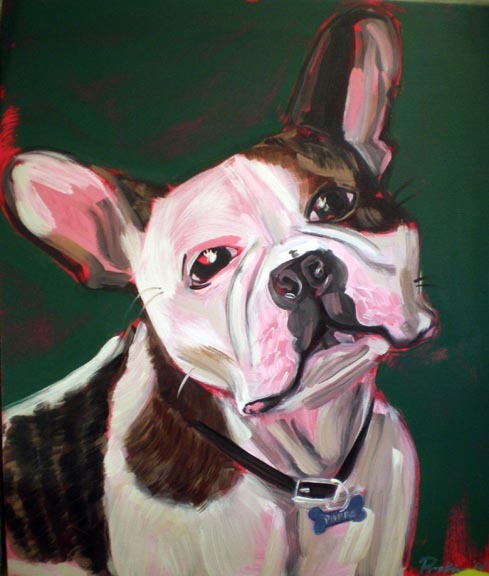 Baltimore based artist Spoon Popkin is holding a fund raiser for her French Bulldog, Pierre. Pierre needs surgery for polyps he has growing in his ear, and Spoon needs to raise as much money as possible to be able to have his surgery done. Spoon, who is an established portrait artist, also does pet portraits, including gorgeously quirky pained doormats. Order a custom piece from her website here, or see some of the finished portraits she has on offer on her other blog. treats & tacos by Lee!